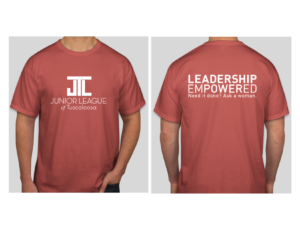 We can’t wait to see you wearing our new Junior League of Tuscaloosa T-shirt! These Comfort Colors shirts are available in short sleeve and long sleeve. We love seeing our members wearing the shirts to volunteer events. 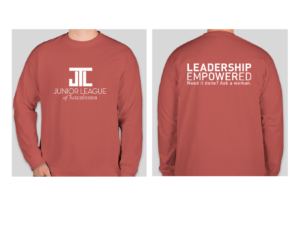 You will be contacted when the t-shirts are available for pick-up at the JLT office.